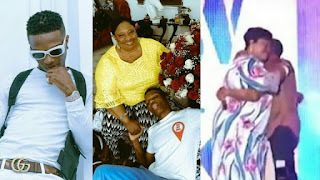 A lovely video just poped up on social and its a throwback video of when Wizkid performed to his Mother, Jane Dolapo on stage way back in 2012. The super star singer was seen performing his track ‘Love My Baby’ from his Super Star album and it was so adorable with the way he refixed the song to adore his mother on stage. 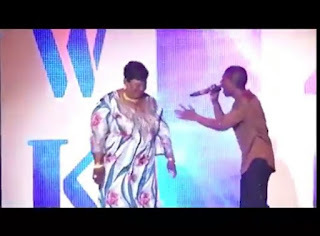 His mother, Mrs. Jane Dolapo was brought on stage by Banky W and then she got a warm hug from her son, Wizkid who then shut down the show with his electrifying performance.